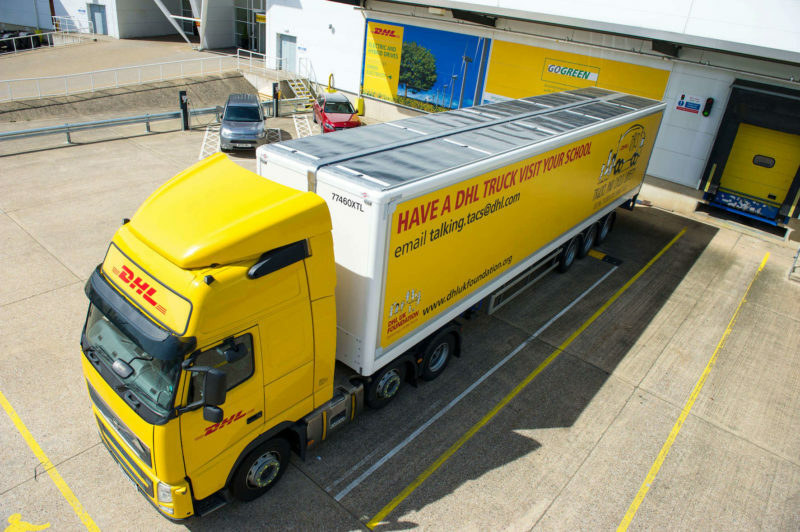 DHL’s Trailar solution cuts vehicle fuel consumption by five percent and reduces carbon emissions and vehicle maintenance costs. Deutsche Post DHL, a global leader in express and logistics delivery, launched a new fuel conservation technology for road transport based on light-weight and durable photovoltaic modules earlier this year. The “Trailar” solution for rigid vehicles uses advanced solar technology by applying a thin film of flexible solar matting to the roofs of rigid vehicles, which are connected to the vehicle battery or additional onboard batteries. The technology was co-developed by two DHL employees with help from Don-Bur, one the leading manufacturer of commercial vehicle trailers in the UK, as a part of the DHL groups management development program “Business Transformation Academy” in 2015. 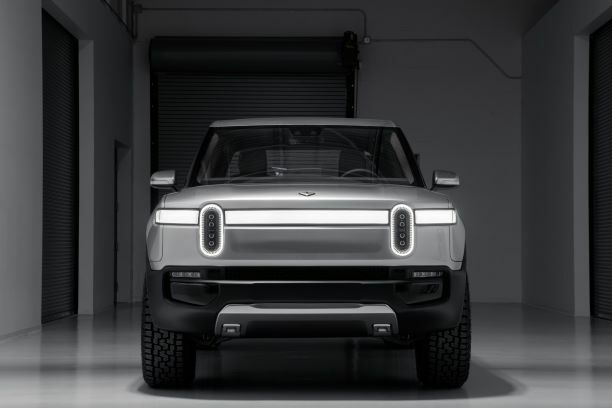 At which, alongside dozens of other colleagues, Aaron Thomas, and Denny Hulme the co-founders of Trailar, were paired up and tasked with thinking of products that could potentially disrupt the transportation industry in the UK. 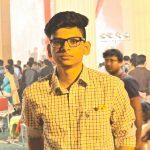 At the management development program, the duo came up with an idea to generate extra energy for trucks through solar panels on their roofs. Traditionally, the engine bears the full burden of charging the batteries, which requires the burning of diesel, and Trailar’s solar-powered solution provided an alternative, cleaner solution to this. 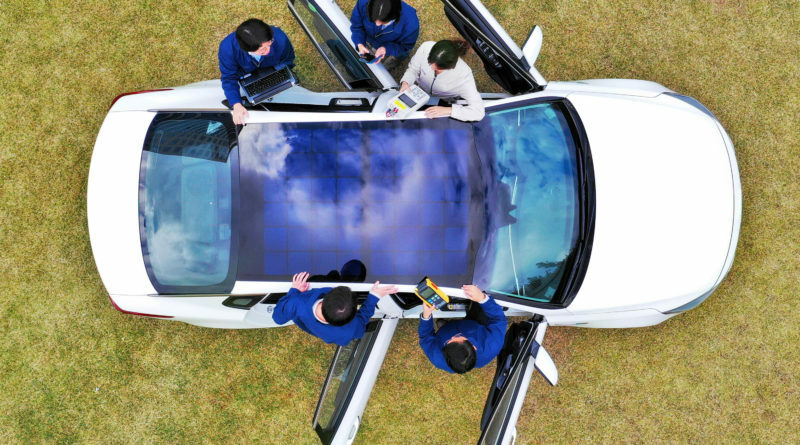 It applies ultra-thin, flexible solar panels to a vehicle’s roof space and connects them to the vehicle battery or additional onboard batteries. Harvested solar energy is then used to power a tail lift and all ancillary equipment such as air conditioning. Buoyed by the validation of their idea, Thomas and Hulme reached out to Don-Bur, to produce the first prototype. 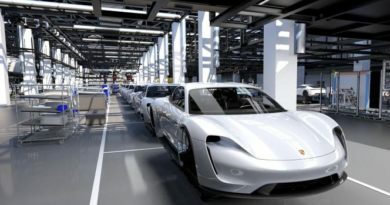 Vehicles that were tested with the solution were found to be using 5 percent less fuel than conventional delivery trucks with a 5.1 percent reduction in carbon emissions, whilst at the same time increasing engine efficiency and longevity. 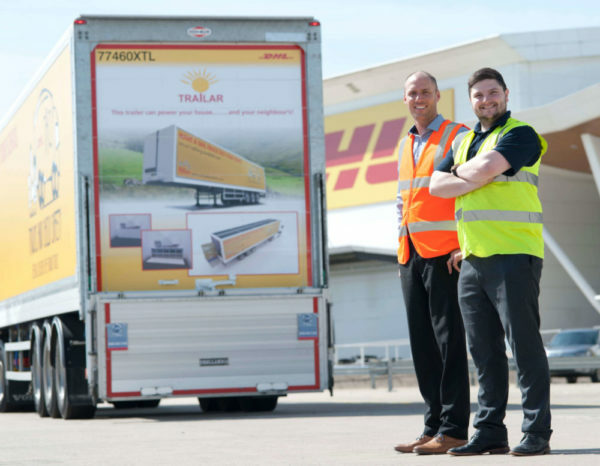 Expanded over the entire fleet of vehicles operated by DHL, and further to other 3rd party businesses make Trailar a greener, cost-efficient, urban-friendly delivery solution. 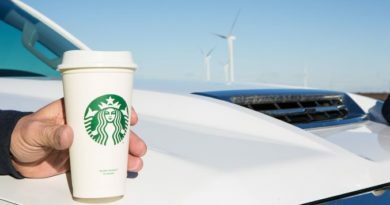 In August, the company announced that, after achieving its previous target to improve its carbon efficiency by 30% over the 2007 baseline by 2020 ahead of schedule, the logistics firm will reduce all logistics-related emissions to net zero by the year 2050, as a part of the company-wide GoGreen initiative. 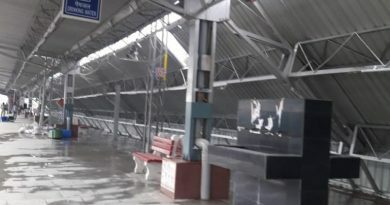 Supplemented by 4 interim goals for 2025, it hopes to contribute meaningfully to achieving the goal of limiting global warming to well below two degrees Celsius established at the 2015 Paris climate conference (COP 21), as well as to the United Nations’ 2030 Agenda for Sustainable Development. And the Trailar solution fits the initiative perfectly. 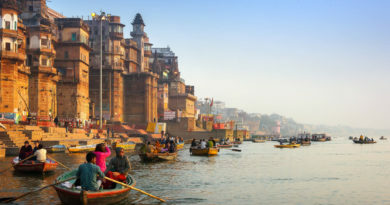 After successful trials with DHL Supply Chain’s fleet in the UK, Trailar will be running further tests with DHL’s SmarTrucking initiative in India, with a view to adding it to its future fleet of vehicles. A global rollout within Deutsche Post DHL Group and to external fleet operators has begun and will help turn transport solutions green in the coming years.